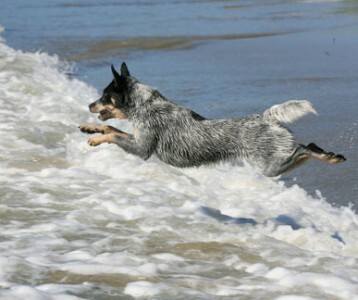 Kylie is an Australian Cattle Dog and is 12 years old. Kylie is very smart yet sensitive, she loves to perform her various tricks for treats, she learns new things quickly and is a little spitfire on the agility courses. Kylie likes to do just about everything in her life very quickly; she will zoom around an agility course and bolt down the beach in a flash. Kylie loves training and trialing in Agility and took to it very quickly as a youngster. She has been a dream partner for Anne for many years: she is very smart, very fast, and not fazed at all if Anne is nervous about a run. Kylie brings confidence and joy to every course she runs, and she excels on a Jumpers course. 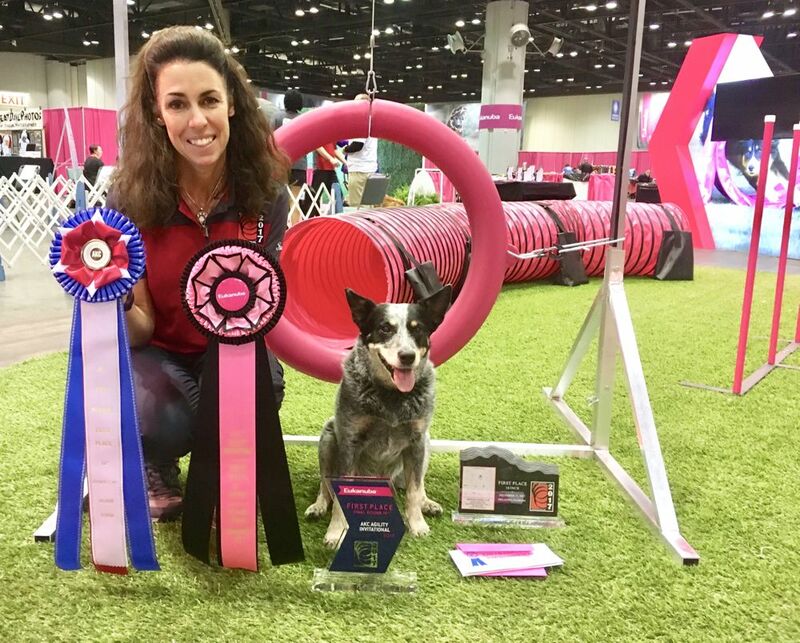 Kylie has had numerous accomplishments in both AKC and USDAA agility during her 10+ year career. Anne feels fortunate to have such an enthusiastic and talented partner in Kylie. She is a nice blend of athletic and sweet and is a loving, mellow couch potato at home who loves her food and treats. Kylie’s most favorite way to celebrate victories after agility trials are with meat patties from In-N-Out Burger. Running along an open beach and swimming either in pools or through the waves make her very happy – usually accompanied with joyous barks. Kylie’s best role is as Anne’s velcro dog, always by her side.